Clustered Regularly Interspaced Short Palindromic Repeats (CRISPR or more precisely CRISPR-Cas) system has proven to be a highly efficient and simple tool for achieving site-specific genome modifications in comparison to Zinc Finger Nucleases (ZFNs) and Transcription Activator-Like Effector Nucleases (TALENs). 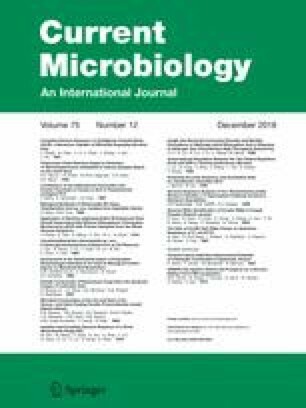 The discovery of bacterial defense system that uses RNA-guided DNA cleaving enzymes for producing double-strand breaks along CRISPR has provided an exciting alternative to ZFNs and TALENs for gene editing & regulation, as the CRISPR-associated (Cas) proteins remain the same for different gene targets and only the short sequence of the guide RNA needs to be changed to redirect the site-specific cleavage. Therefore, in recent years the CRISPR-Cas system has emerged as a revolutionary engineering tool for carrying out precise and controlled genetic modifications in many microbes such as Escherichia coli, Staphylococcus aureus, Lactobacillus reuteri, Clostridium beijerinckii, Streptococcus pneumonia, and Saccharomyces cerevisiae. Though, concerns about CRISPR-Cas effectiveness in interlinked gene modifications and off-target effects need to be addressed. Nevertheless, it holds a great potential to speed up the pace of gene function discovery by interacting with previously intractable organisms and by raising the extent of genetic screens. Therefore, the potential applications of this system in microbial adaptive immune system, genome editing, gene regulations, functional genomics & biosynthesis along ethical issues, and possible harmful effects have been reviewed. All the authors are gratefully acknowledged for their contribution. The Higher Education Commission (HEC) of Pakistan is also highly acknowledged for providing the financial support to carry out the research work and to avail Professional English Language Editing Services under the project NRPU-5590. The manuscript drafting was carried out by MS, TA, AJ and MN. The initial manuscript revision was done by MS, TA and HA. The manuscript planning, proof reading and final revision was carried out by MRJ, TA and AI.